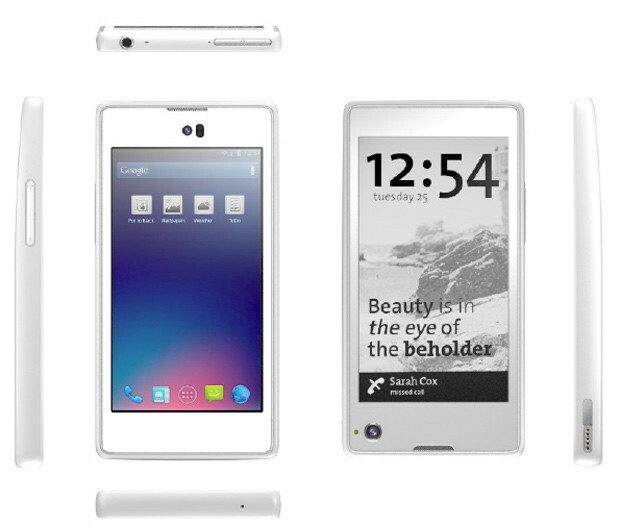 An Android phone with two screens – one is the typical hi-def color LCD, the other a miserly electron-sipping e-ink display – pretty cool, eh? We’ll have to see if it ever comes to fruition (jet-cars anyone??) but I hope it gets developed to some level – once-a-week smart-phone charging – I’d be ok with that.